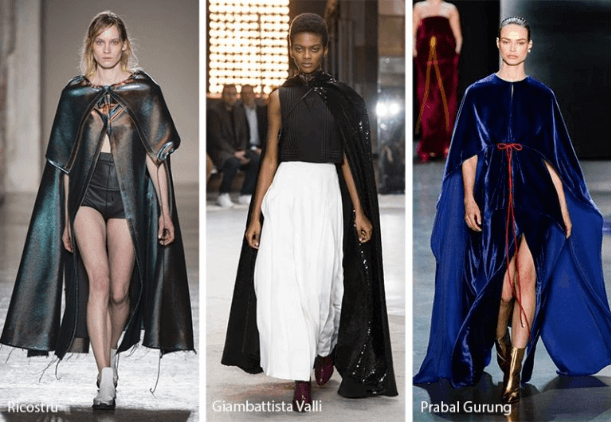 I know – usually capes are left for the superheroes, but thanks to this year’s runway trends and those with a creative and stylish eye, that’s not the case anymore! While the idea of rocking a cape seems simple, things can get a little messy when you start to try and figure out what you’re going to wear with a fabulous cape. Unless, of course, it’s a caped dress and then all you need is a pair of sunnies and a cute pair of booties and you’re good to go! Nothing says dramatic like the long capes over billowy gowns that stand out this 2019 winter season. It can certainly hide and show off the body in a beautiful way, depending on the cut and style, as seen with Ricostru on the catwalk, or Prabal Gurung in their velvet blue cape dress. Capes truly fit in both comfort and style and can be accessorized in fun ways that are easy for any season! Capes come in different materials which can change what season you’re going to wear it (opt for a nice thick wool one in the winter months) and what you’re going to style it with. It’s a statement piece for sure, but once you have one in your closet it’s just like styling a statement scarf or blazer with just a touch of daring. It’s all about the cape you pick, and then the styling comes second. Have a gorgeous, colorful long cape? Keep the rest of your outfit simple so the cape can be the only drama you need. Have something shorter and structured? Dress it up with fitted pixie pants or dress it down with a vintage-looking denim. I already mentioned the caped dress, but it’s a sure way to test the trend if you aren’t feeling up to the full challenge. Try and find a cape that hits at the waist to help define your shape. 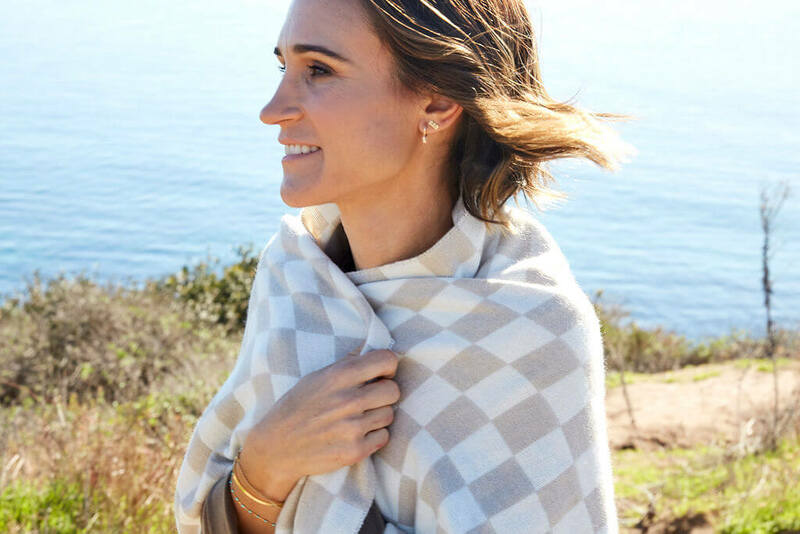 I love wearing a simple cape that resembles a blanket scarf. It is comfortable, fashionable and looks great! Adds a fun layer to my outfit and creates more interest to the ensemble. If you’re worried about getting swallowed up by the cape, a true fear, you can always pair another trendy accessory to help yourself out: the statement belt. It’s the fastest way to define your waist and helps elevate an already chic look. Aim for a belt that’s medium thickness because too thin will get lost in the cape and too thick could add extra bulk!